Arcade Box is a community arcade in Noosaville, We host a range of pinball machines and arcade games and we have kept all games at 80’s prices so everything is $1 to play. We do have cash-out facilities and change available onsite if you forget to bring cash. As we are a community arcade we host machines which are privately owned by members of the community. The Arcade Box community arcade philosophy is that we want to share the fun of the old retro arcades and allow the owners to appreciate their machines financially also, you will also find some of the machines in the arcade will be available for purchase from the owners. As well as the retro arcade experience we also offer many VR titles in the Oculus VR room, we have many games and experiences to choose from, currently we only cater for 1 person at any time so bookings are advised. Head to Arcade Box at Unit 5 10 Venture Drive Noosaville or call on advance on 0428 151 230. Open 7 days from 11am. Here at Arcade Box we are passionate about retro arcade gaming and pinball, We repair and restore all types of machines so if you have an old gem sitting in a back room or shed somewhere you have come to the right place, not only are we in the business of restoration, maintenance and repairs but we also design and repair brand new modern classic arcade cabinets such as our ‘Classic Arcade Box’ which is our premium featured product, built right here. We worked hard for 12 months to develop the perfect modern arcade machine, just the right size and height for everyone. A modern classic design available in any finish you might want, with all the classic games right at your fingertips. The authentic arcade feel using modern technology and a sleek stylish finish you won’t find anywhere else. This is is the Classic Arcade Box cabinet, the first modern classic arcade machine from Arcade Box. I'm out of hospital, I was curious about the bite force of the Dogue, turns out it's number 3 on the list at 556psi. #doguedebordeaux is the breed of #pooch who "nipped" me, he's a sweet gentle giant and he was very apologetic about the incident, it wasn't anybody's fault because the poor guy has been living with a female in heat but not allowed to get any action, I'm glad he wasn't going me... would have been messy! FYI this pic is just an example and not the actual dog. All our games here at Arcade Box are coin operated, we maintain our own hardware so if there’s ever an issue we can quickly resolve it. 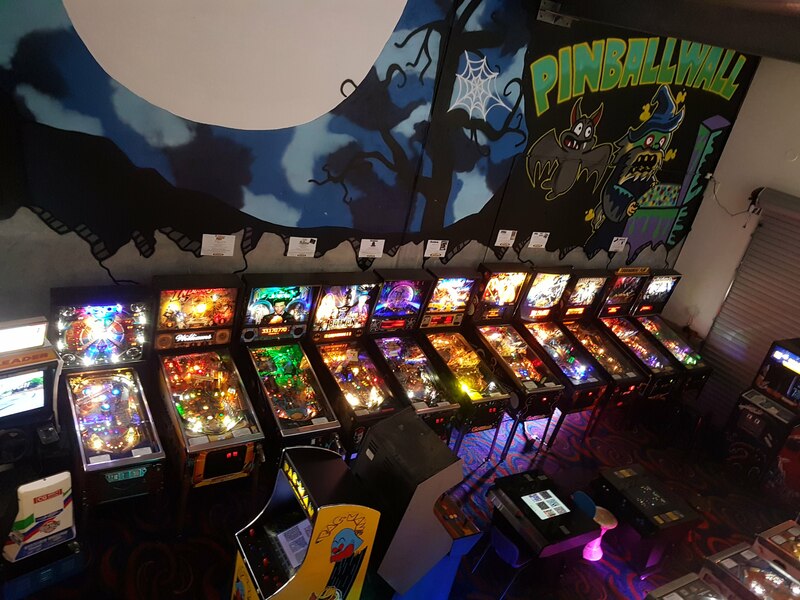 Not only will you find original classic arcade games, pinball machines and VR, we also sell, hire and site pinball, arcade machines and assorted amusement machines for your parties, home or business. Classic games using modern technology for reliability and worry free operation. You have the option to have your machines on free play, token or coin operation for any situation. Arcade Box Noosa, for classic arcade and Pinball.